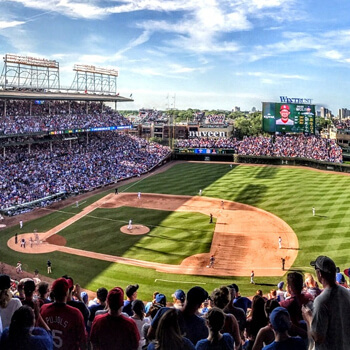 It's no secret that Chicago is a city that loves its sports! It's a city that has been named "Best Sports City" time and time again, and the scores speak for themselves. As one of the only cities in the country with professional sports teams in every major category, there's always something to enjoy when it comes to sports. 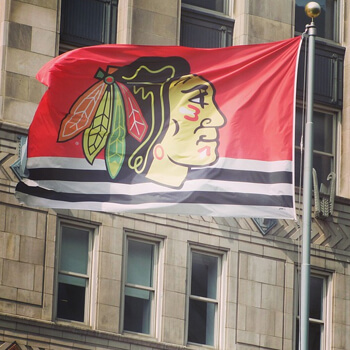 No matter the time of the year, you can bet that the sporting spirit is alive in Chicago. That makes this place a great one to visit and watch a game, so come on down and see what all of the hype is about! 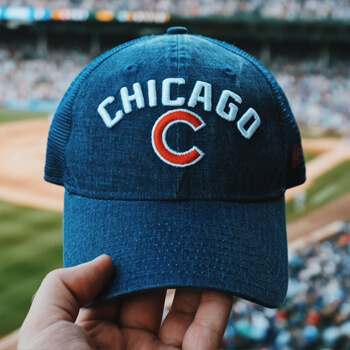 If you're planning on attending a sporting event in Chicago, you'll certainly want to explore all of your options when it comes to transportation. Nobody wants to deal with driving themselves to a sports game in Chicago! Whether you're going to see the Cubs, the Bulls, the Bears, the White Sox, or the Blackhawks, you can seriously benefit from a party bus rental in Chicago. With a Chicago party bus, you'll be able to experience the spirit of a sports game without all of the hassle you'd normally deal with. It makes for the best transportation option out there! When you have a deluxe party bus as your mode of transportation, all of your worries go out of the door. Things that you'd normally stress over are already dealt with! For example, the awful traffic surrounding the venue isn't your worry to deal with, as our professional chauffeurs take the wheel. You'll be able to enjoy all the drinks you wish without the worry of who will be designated driving at the end of the night. To top it off you don't worry about bad weather, or even finding directions to the stadium. Our professional chauffeurs go above and beyond to bring you the best transportation time and time again. When many think party bus they think 21st birthday party, but they turn any birthday celebration, no matter which milestone your celebrating, into a day or night to remember. Are you ready to tailgate like you never have before? If so, you're probably wondering about all of the deluxe features that come with our Chicago party buses. We fit our party buses with modern features so you're always left with the best possible experience. You're sure to benefit from the premium bar areas that come stocked with ice, newly installed televisions with DVD inputs, MP3/iPod capable sound systems with subwoofers, colorful neon lighting accents, stripper poles, premium leather seating, tinted windows, exotic hardwood flooring, and much more! If you're thinking that you and your friends are up to partying in a Chicago party bus for your next sporting event, you'll surely want to give our booking agents a call! You'll be on your way with a reservation in no time, and our professional booking agents are glad to help you with any questions you might have. We'd be honored to be able to provide you with professional transportation for your next sporting event experience in Chicago. You'll surely enjoy all of the benefits that come with a party bus in Chicago! We look forward to hearing from you!